Just got mine today, blown away with it I can’t praise it enough. It’s just oozes quality from the moment you unbox it, and the care and attention that has gone into it leaps off of every page. We think we have created something special with this book and having worked on it for many years, we want it to be read and enjoyed by every Led Zep fan – as can be seen by the comments above, you will not be disappointed. 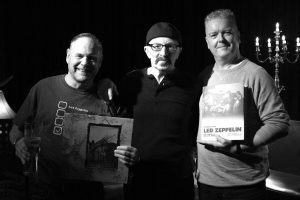 Last Wednesday I travelled up to Pontefract to present a playback of Led Zeppelin IV – for the CAT Club Presents a Classic Album event at the Tap and Barrel pub – and what a night it was. The man behind all this Kevin Reynolds known to all as Rev, initially asked me to get involved in this last Summer. With a packed agenda and the Evenings With book to promote it took a while to sort out a date but we finally decided I would make it up there in late November. 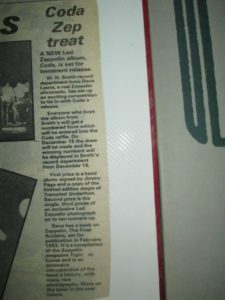 The CAT Club (Classic Album Tuesday as it was then) started with eight people gathering in Rev’s garage in 2001. 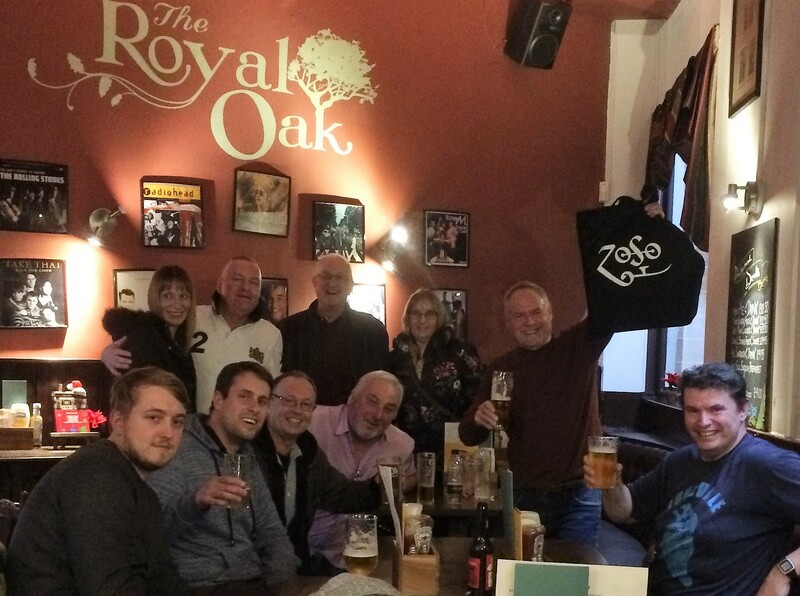 From small acorns – it now runs at the excellent Tap & Barrel venue in Pontefract. 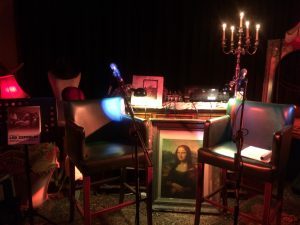 It’s such a simple idea – a celebrated album is played in full in silence and a guest presenter talks about it – but what a brilliant one and Rev and co put a lot of work and thought into it. There a similar events such as the Classic Album Sundays. It got me thinking that it would be great to do something like that here locally – food for thought for sure. 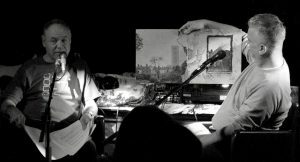 My interviewer on the night Chris Madden was another like minded enthusiast – he worked as a sales rep for Virgin Records back in the 1980s in the halcyon retail days that I was a part of. The venue the Tap & Barrel pub was absolutely superb – an intimate side room with low lighting, it made for the perfect atmosphere. Main man at the pub Dean was very welcoming and did a great job operating the PA sound system – and what a sound system it was. By show time the room was packed – it was a compete sell out. 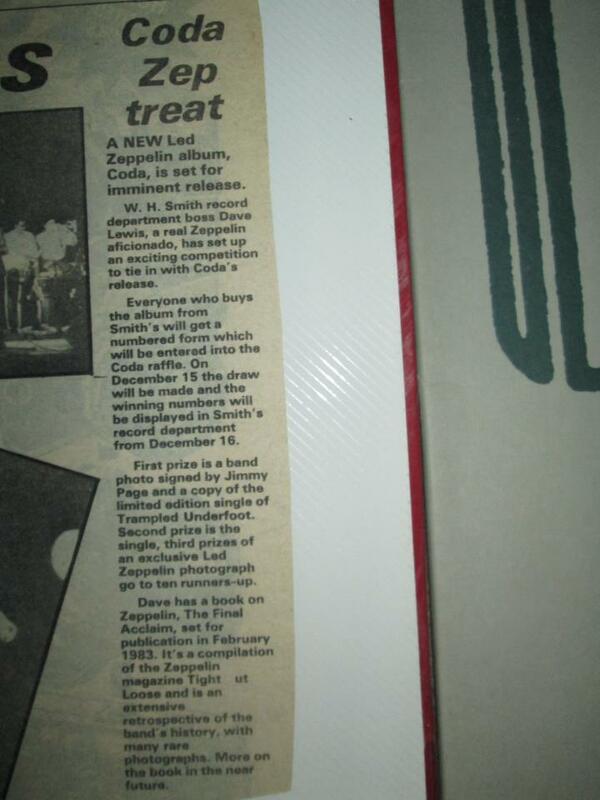 I kicked it off with an introduction and then it was straight into the playback of the Led Zeppelin IV album. 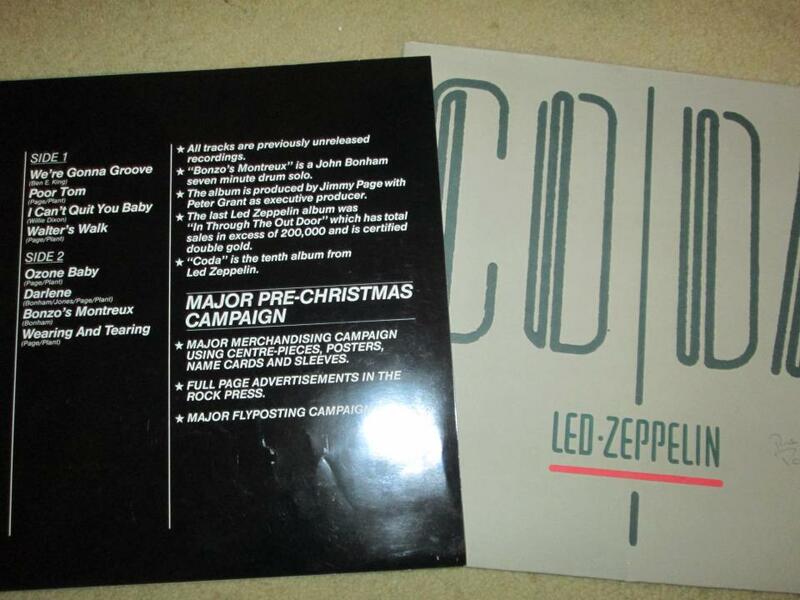 Everybody listened to those familiar eight tracks in complete silence from start to finish. Even when Rev paused to turn the record over to side two all that could be heard was the delightful sound of the needle on the groove. What can I tell you? Hearing this esteemed fourth Led Zep album in this way was absolutely captivating – by the end all of us in the room were musically and emotionally drained from the experience. It was truly life affirming. After a break it was time for part two a hugely enjoyable question and answer session conducted by Chris with me. 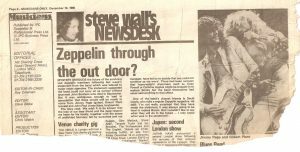 I was also able to relay many a Zep DL story – how the first TBL mag appeared, meeting them backstage at Earls Court, seeing them off at Heathrow in 1977, side of the stage in Europe in 1980 etc. etc. 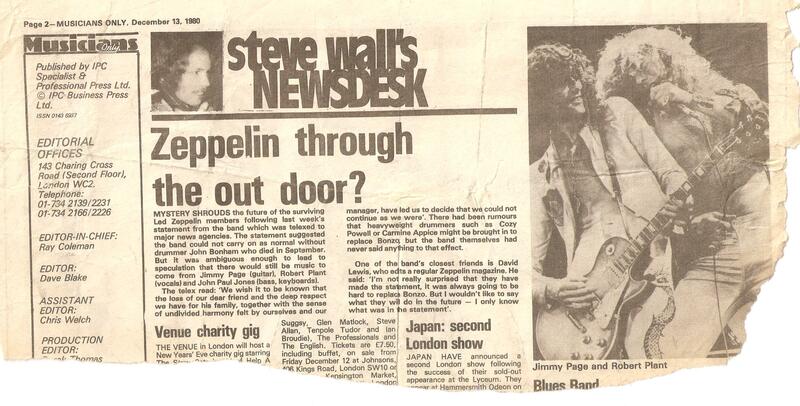 I could not resist of course relaying the tale of leaping on stage with The Who at Shepperton in 1978! The audience were also fantastic – it was great to chat to plenty of younger fans in attendance and it was not all blokey either. 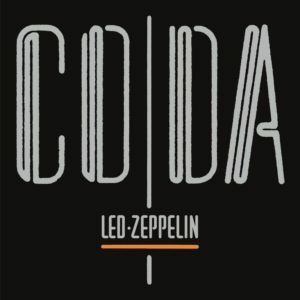 I handed out a survey sheet to determine the attendees fave Zep album and track and it appropriately enough resulted in a win for Led Zeppelin IV and Stairway To Heaven. Everybody there made me so welcome – and there was even a Tottenham fan in the audience! 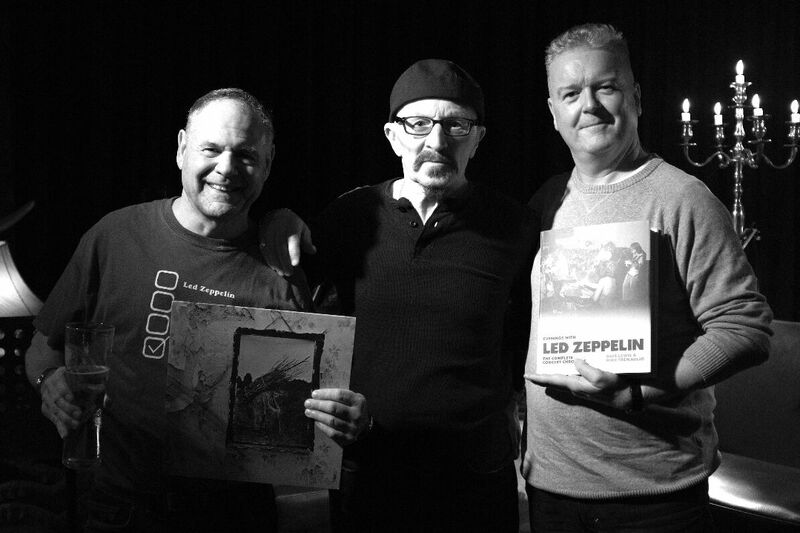 A big thanks to Dean at the Tap & Barrel – to Chris and the great Kevin ‘Rev’ Reynolds for making it all happen.If you are around that area be sure to check it out – see website details here. As Ahmet Ertegun so rightly put it ‘’It’s a great life – this life of music’’. 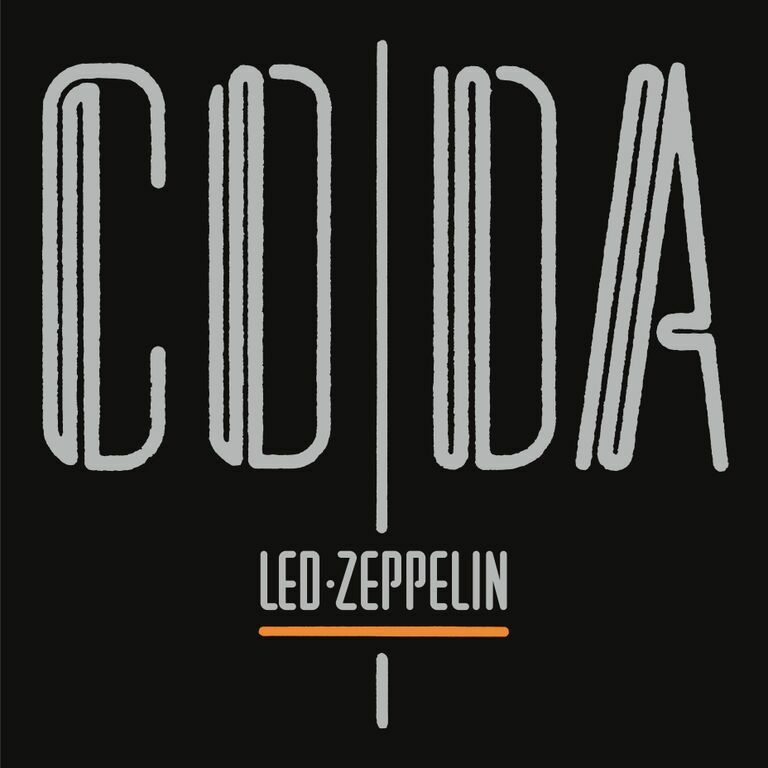 The Helios console used by Led Zeppelin to record many parts of “Stairway To Heaven” and “Four Sticks” will be offered for sale at auction on December 11. The console is lot 86 in Bonhams’ December 11 entertainment memorabilia sale. The console is expected to fetch six figures at auction. 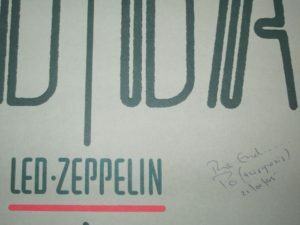 The same Bonhams auction also features an electric guitar signed by Jimmy Page, amongst other musicians. 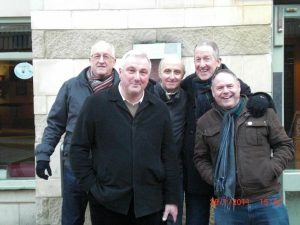 The Fender Stratocaster guitar, which features the signatures of Jimmy Page, Bill Wyman, Eric Clapton, Brian May, Mark Knopfler and others, went missing in 2007 but was re-discovered in January. 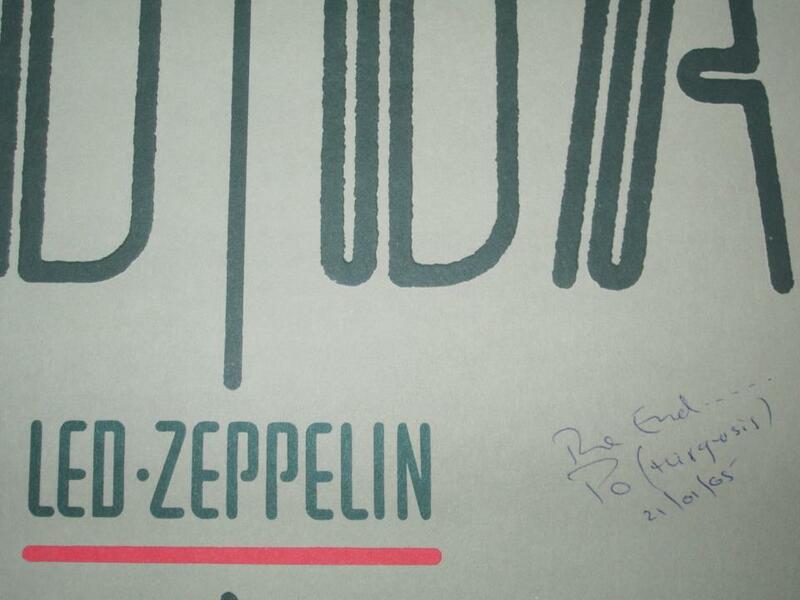 Proceeds of the auction will go to the Rainbow Children’s Hospice. 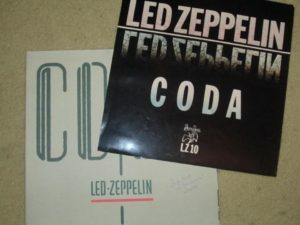 December 11 – The console used to record parts of “Stairway To Heaven” and “Four Sticks” and a guitar signed by Jimmy Page will be sold at auction. 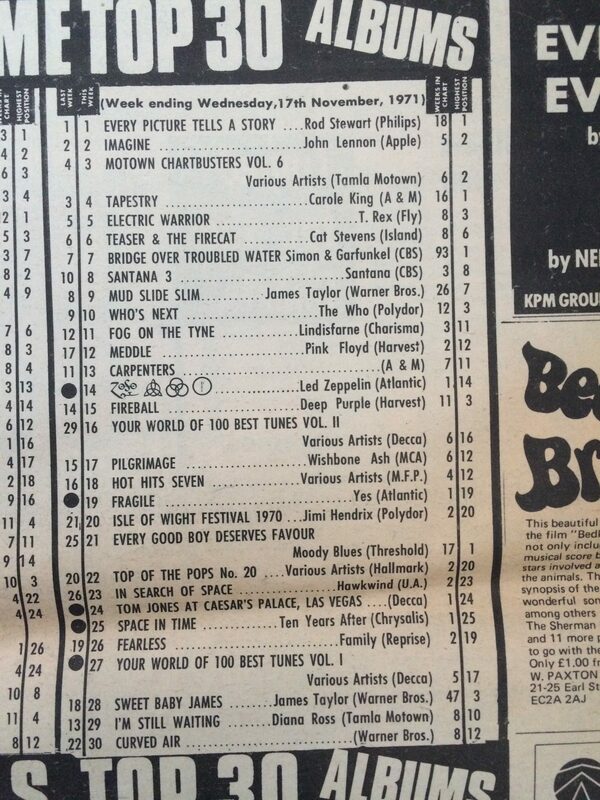 The album charts November 1971 : NME chart – Led Zep IV in at number 14…..Melody Maker chart -Led Zep IV In at number 16 … beaten by Your 100 Best Tunes an easy listening series that allegedly outsold the rock masters…I demand a recount! 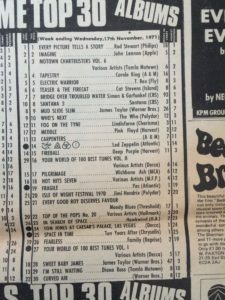 Looking over those chart, there is an abundance of absolute quality – Rod, Lennon, Cat Stevens, T. Rex, Joni, Jimi Hendrix etc – and yes, I have a fair few of those albums in my collection! I read this chart out at the CAT Club event last Wednesday and many in attendance also had a lot of them in their own collections. 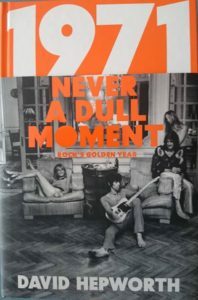 It adds credence to David Hepworth’s claim that 1971 was the best year in rock as discussed in his book 1971 – Never A Dull Moment. 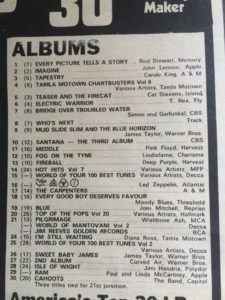 I’ve been playing a selection of albums from that esteemed year and along with 1969,1970, 1971 ,1973 and 1975 that year ranks amongst my favourites for sure. Author and former magazine editor David Hepworth discusses our enduring relationship with vinyl. Part one of a five-part series. 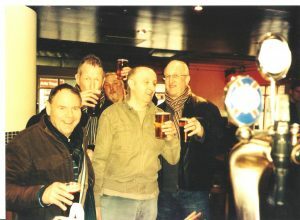 It was a pretty riotous night – the diary notes that I consumed 6 vodka and limes and a Harvey Wallbanger in the pub before the gig though we didn’t call it binge drinking back then, we just enjoyed having a good time. 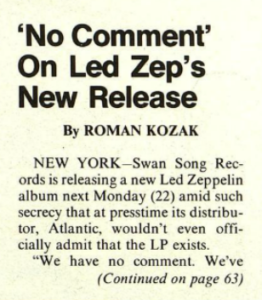 Like I said the next week the ‘Zep to split’ news story was buried somewhat under the barrage of press for John Lennon’s tragic murder which occurred on December 8. 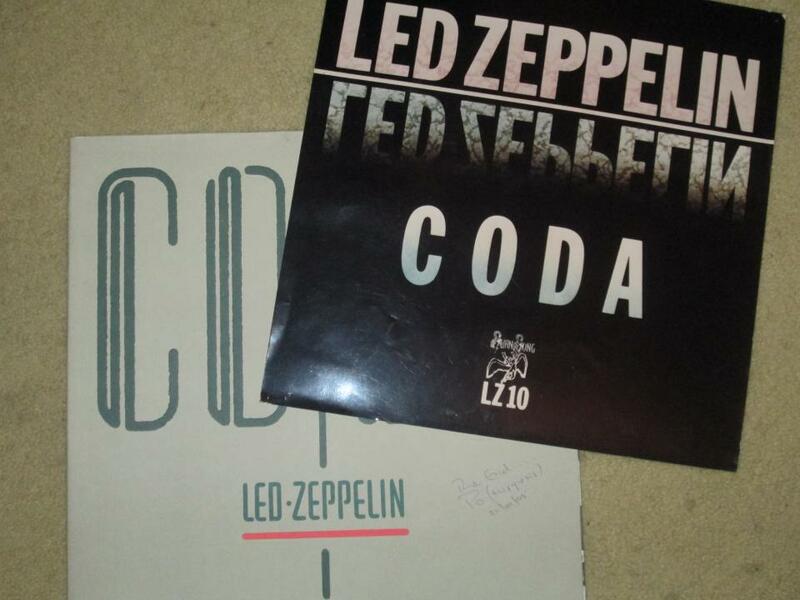 That was some week with the CAT Club Led Zep IV event in Pontefract and the VIP Record Fair on Saturday. 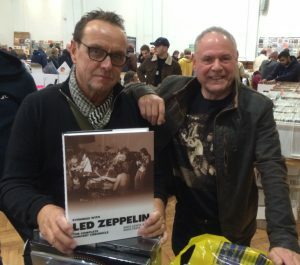 At the Fair was great to see Cliff ‘the ticket man’ Hilliard and in typical Cliff style he waded through the racks and found some Zep related gems – including a Mexican pressing of the Blow Up soundtrack featuring The Yardbirds and a French Atlantic copy of the Lord Sutch and Heavy Friends album. My pickings included the new Rolling Stones Beggars Banquet remastered package, an original pressing of Let It Bleed on the US London label, The Beatles Get Back To Toronto bootleg LP and the new Mott The Hoople Mental Train The Island Years 1969 -1971 CD box set. Here’s a pic of the TBL crew in the excellent Royal Oak after the VIP Record Fair in Victoria and always good to see resident local man Graham and his lady in there…. Busy here on prep for various TBL projects ahead and with Christmas not too far off now, there’s cards to be written. This Friday is the annual Wallbangers FC day out in London with my very good friends Dec, Phil, Tom and Max. This is the 25th year we have been – it all started in 1993 initially to keep in touch with Dec who had then moved to London. 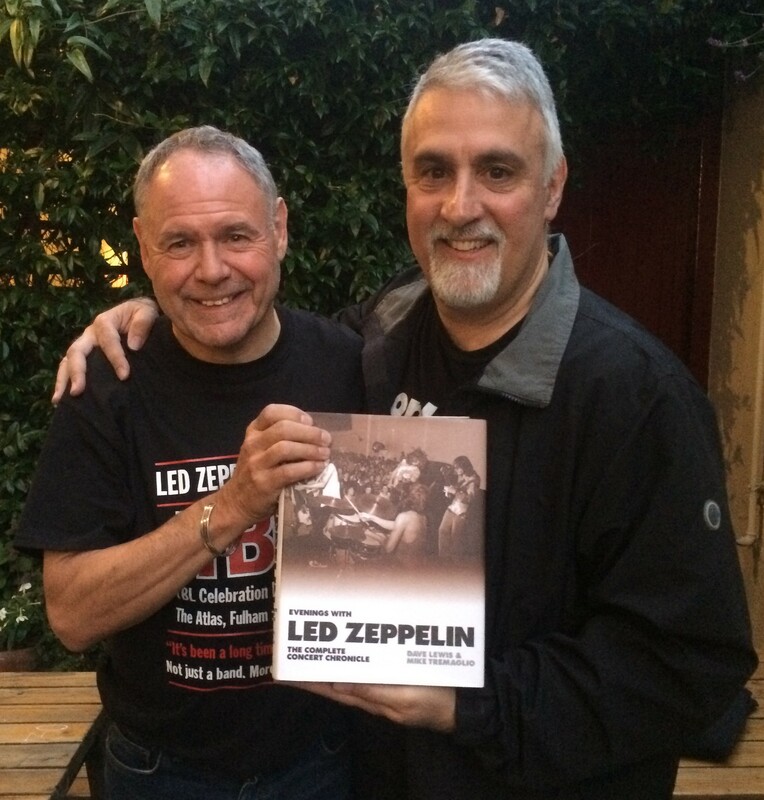 Yes Cliff…Roger Berlin, this is the best book for ever.